I am just back from the show. It started 7:30pm sharp, with a countown, and finished 01:20am i.e. six hours later. I was nailed to my spot and I did not leave my seat for six hours! There were a few sitting down breaks but for most of the time we were up on our feet. I don't know what to say. I just experienced one of the greatest shows in rock history. 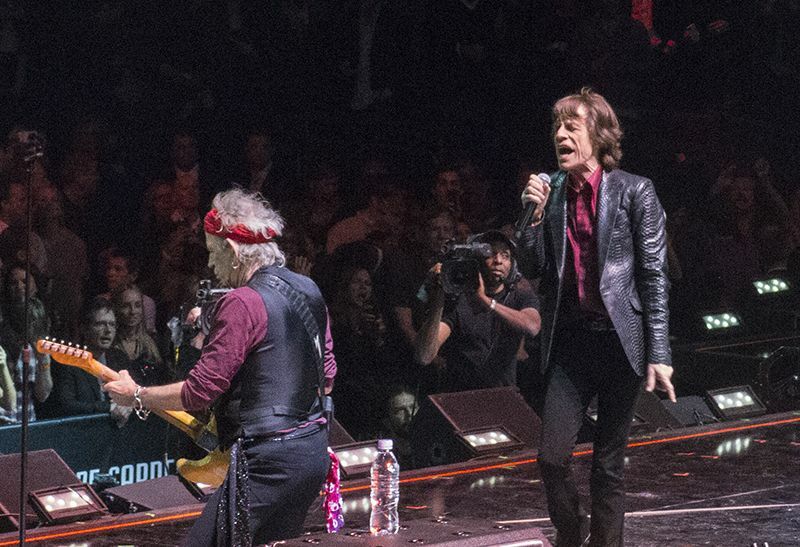 Five days ago I had barely heard about it, in fact it was announced last Friday as far as the Stones goes, which is where my mind started to think about this show. The moment I heard the Stones were in I started looking for a ticket. And now it is all over! Billy Joel. Eric Clapton. Macca. The Nirvana "reunion" of course ex. Curt but Inc Macca! Bon Jovi. Dianna Krall. I am sure I have forgot many but this was a great, great show, and I am so glad I finally managed to get a ticket. It took all of the days up to this afternoon, but I made it. Now I can sleep sweetly with the great sound of the closing song, featuring Alicia Keys with Paul McCartney and the rest of the band - New York - New York! Well... I almost forgot... Ha ha... The Rolling Stones! So short and sweet! My own Rolling Stones on this stage! But they were off before they were on, still they did great versions of "You Got Me Rocking" and "
Juming Jack Flash". And they got the biggest ovation of the night when they hit stage at 9:50pm sharp. Ten minurs later they were gone, but luckily I will see then again right next door to where I live now tomorrow, in Newark! Goodnight! Tomorrow is the day! 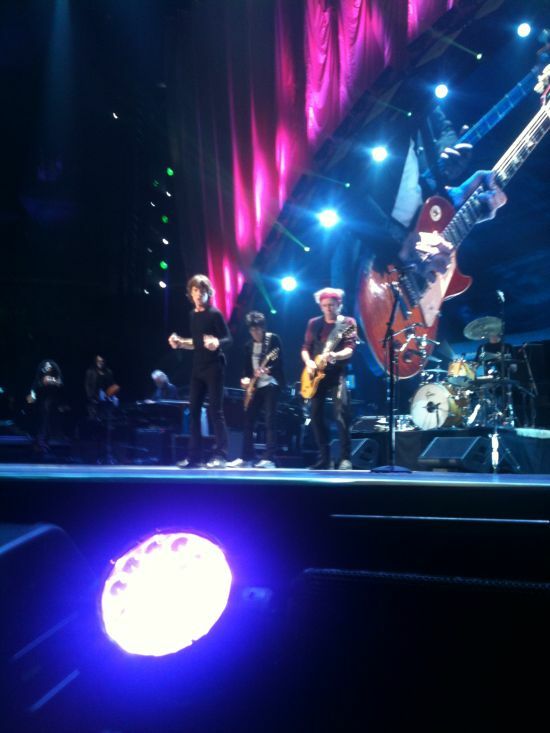 Rolling Stones Deliver Rocking Good Time at Hurricane Sandy 12-12-12 Benefit by UltimateClassicRock.com. Thanks to Axel Schumacher for links!